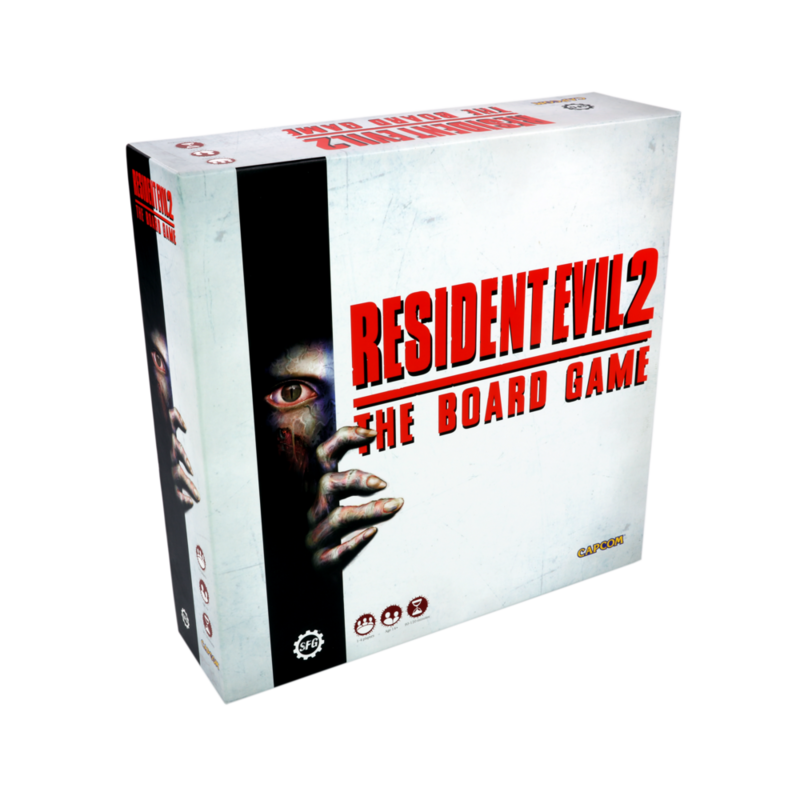 Resident Evil™ 2: The Board Game is a co-operative survival horror board game for 1-4 players set in the rich and immersive Resident Evil™ universe. World-class miniatures and innovative mechanics help deliver an experience that captures the essence of the much-loved video game, with players venturing into the zombie-infested streets and buildings of Raccoon City in a desperate fight to escape the nightmare! You and up to three friends will take control of four classic Players from Resident Evil™ 2; Claire, Leon, Ada, and Kendo. Each with their own unique set of skills you’ll need to work together to fight your way past Zombies, Lickers, terrifying Zombie Dogs, and much worse as you venture into the overrun Raccoon City Police Department. At the end of every player turn you will draw from the Tension Deck revealing a new event that you will have to react to. Sometimes you’ll be all clear and can carry on as normal, others you’ll have to prepare to fight or flee from an unforeseen foe! As you explore the Raccoon City Police Department you will find a variety of items that can help you along your way. The simple Green Herb will heal you, or if you wait until you also have a Red Herb then you can combine them for a greater healing effect. As you uncover the truth of the deadly outbreak you will come face to face with the deadly Malformation of G, William Birkin. In Resident Evil™ 2: The Board Game you will be tested against the Birkin Stage 3 Malformation, and the G-Mutant. Each with their own deck of devastating attacks, you will need skill and strategy to survive. The B-Files expansion brings six new action-packed scenarios to Resident Evil™2: The Board Game, providing you with new enemies, areas, events, items and over nine hours of additional gameplay. Can you escape Mr X? The Survival Horror expansion is packed with new content for your games of Resident Evil™ 2: The Board Game, including five unique new survivor characters, new weapons, bizarre new enemies, a new game mode, and two completely new scenarios featuring player vs player characters! Are you ready for the ultimate Resident Evil™ 2: The Board Game challenge? The 4th Survivor expansion introduces two unique new game modes to test your skill. You’ll take control of either Umbrella agent HUNK or the legendary Tofu and battle your way through an impossible gauntlet of enemies, trying to escape the overrun RPD building.